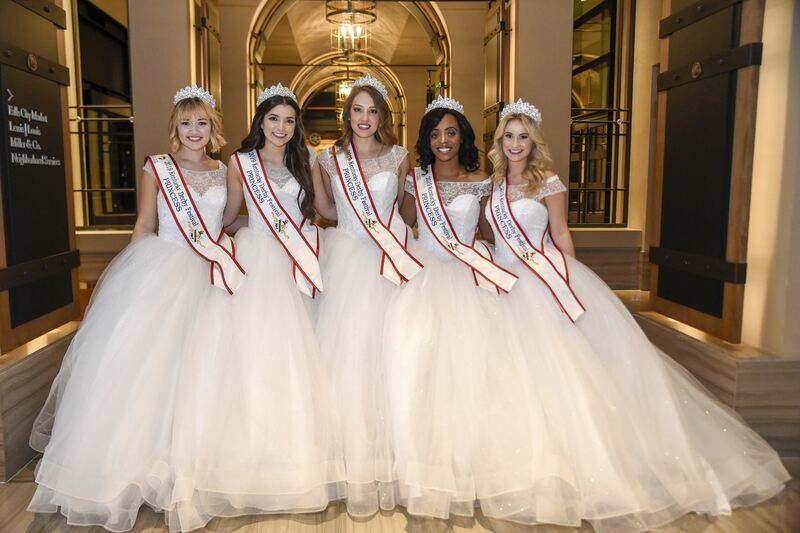 The Derby Princesses Program is a great opportunity for any talented young woman to earn scholarship monies, as well as serve as an official ambassador for the city and the Kentucky Derby Festival in the spring. Each young woman receives two $1,000 scholarships – one from The Fillies, Inc., and one from the Kentucky Derby Festival Foundation. She also receives a complimentary wardrobe as well as other sponsor gifts. In addition to serving as an Ambassador for over 75 events of the Kentucky Derby Festival, the Derby Queen Ambassador and the Derby Princesses Program is very busy donating their time throughout the community. They volunteer their time to help with organizing many fund raising events held by local charities, Derby related Dinners, Derby related Ball Dances, they enjoy visiting with residents of nursing homes, read books to classes during their visits to local schools, assist in providing meals for the homeless and interact with the children attending events held by charitable organizations. They also help with the Parade and they educate others about The Fillies and the Derby Festival. Applicants must be a single, female resident of Kentucky or the metropolitan area, including Clark, Floyd and Harrison counties of Indiana, and full-time, second year undergraduate student attending a University, College or an Accredited Professional School for the full current academic year, with a minimum accumulative GPA of 3.0 on a 4.0 scale. Verification is required from the School Registrar's Office. Candidates must also be poised, outstanding in the community and 18 years old on or before December 31. Contact Whitney McNicol, Vice President of the Fillies, Inc., at mcnicolw@yahoo.com with any questions. Since 1957, past Derby Queens and Princesses Ambassadors have been making an impression on their community. They include Martha Layne Collins, Kentucky’s first woman Governor, and a number of other community leaders. The Fillies are honored to continue to produce the Derby Princesses Program in conjunction with the Kentucky Derby Festival. The Derby Queen Ambassador is a member of the Derby Princesses Program. Since every one of the Derby Princesses is just as accomplished as the next, the only fair way to choose the Derby Queen is by the traditional spin of the Wheel by the President of The Fillies at the annual Fillies Derby Ball. English for a summer in Peru. showing children ability through baking. including heart walks, the Go Red for Women Luncheon, and the Heart Ball. Kelsey Sutton of Brandenburg, KY – Kelsey, 22-years-old, is a Senior at Centre College majoring in mathematics. Kappa Leadership Honor Society. She also volunteers at the Ronald McDonald House of the Bluegrass.